Spinney Mountain State Park will open to shore fishermen and boats Sunday, April 1, providing anglers with one of their coveted annual spring fishing rites. The opening will officially mark the beginning of the 2018 Spinney Mountain Reservoir fishing season. Spinney Mountain's gates will open at 6:17 a.m. April 1. Required daily park passes will be available from the self-serve station located at the park's entrance. Please remember to bring correct change or a personal check for payment. "The reservoir is currently down six vertical feet below the spillway elevation, so boats will only be allowed to launch at the North Boat Ramp on opening day," said Spinney Mountain State Park Manager Jacob Dewhirst. Nearby Eleven Mile Reservoir offers camping and expansive shore fishing opportunities as well as boating and five miles of hiking trails. Eleven Mile Reservoir will open to boating soon, but a date has not been set yet as the staff tries to work around the weather to get hazard buoys out in advance of its opening. As in previous years, vehicles will not be allowed to line up at the entrance gate until after 7:00 p.m. March 31, in order to allow staff to complete the final preparations for opening day. Each season, opening day at Spinney Mountain State Park attracts anglers from Colorado and surrounding states. Fishermen are reminded that only artificial flies and lures are permitted at Spinney Mountain Reservoir and that items with any scent are prohibited, regardless of whether a scent is added by the manufacturer or by the angler after the item is purchased. The bag and possession limit and minimum size for trout caught on the reservoir is one fish, 20 inches or longer. There is no bag or possession limit on northern pike or yellow perch, and anglers are encouraged to harvest all pike they catch to help maintain a proper balance between trout and pike. Fishing in the river section open to the public below the Spinney Mountain dam is by fly and lure only and all fish caught must be returned to the water immediately. Trout fishing is expected to remain very good this year, thanks in large part to the continuing annual stocking program. "Colorado Parks and Wildlife stocks 10-12 inch trout through the ice each winter, enabling them to continue to feed and grow before the park opens in the spring," said Dewhirst. "They are less likely to be preyed upon by the northern pike in the winter since the pike's metabolism slows down and they become less active, while the trout remain active throughout the winter." As was the case last year, in order to protect the integrity of the dam, fishing from or accessing the face of the dam is not allowed. To prevent the spread of aquatic nuisance species (ANS), including zebra and quagga mussels, all motorized and trailered vessels must be inspected before launch, and again before exiting the park. All boaters, belly boaters and people wading into water are asked to take a few simple, precautionary steps - every time they go to a lake, river or stream. * INSPECT all exposed surfaces. * REMOVE all plant and animal material. * CLEAN the hull of your boat. 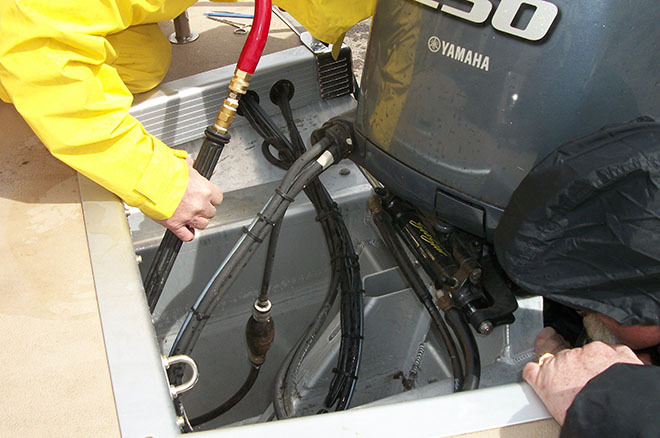 * DRY the boat, fishing gear and equipment. Boat inspectors will look for invasive plants and animals that could threaten Colorado's waters, and will continue to educate boaters about the need to ensure that their boats are Clean, Drained and Dry after every boating trip. New Zealand mud snails, a tiny invasive mollusk measuring only 1/8 of an inch long when mature, were discovered in Spinney Reservoir in 2012. They have also been found in the "Dream Stream" between Eleven Mile and Spinney Mountain Reservoirs, Eleven Mile Reservoir itself, and a portion of the South Platte River below Eleven Mile Reservoir. Eurasian water milfoil, an invasive aquatic plant is also found in both Eleven Mile and Spinney Mountain Reservoirs, and Colorado Parks and Wildlife officials want to make sure they do not spread elsewhere. 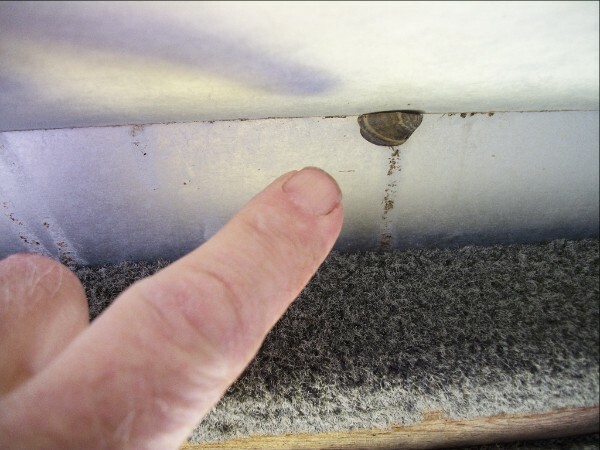 "We have placed a lot of emphasis on keeping zebra and quagga mussels out of Colorado's waters which is critical in light of the damage they can do to fisheries, water delivery systems, boats and more," added Dewhirst. "We want people to remember that other invasive species like New Zealand mud snails are here and can be transported on muddy waders, shoes, boats, etc., and can survive for days outside the water. They eat aquatic vegetation and algae that other desirable species depend on, so we want people to ensure they clean all equipment that touches the water before going elsewhere." Boat Inspectors will be available at the park entrance daily from a half-hour before sunrise until a half-hour after sunset April 1 through October 31 to inspect all trailered boats and any watercraft with motors. Boats that have not been inspected or that are too dirty to inspect will not be allowed to continue into the park. Annual fishing licenses for 2018 are available now and are valid beginning April 1 through March 31, 2019. For more information, please call the park office at 719-748-3401 or visit: cpw.state.co.us.